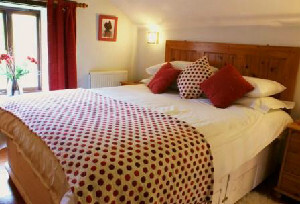 Holiday cottages sleeping up to 6 people. 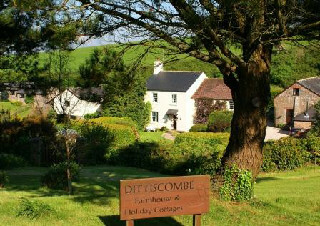 Dittiscombe is open all year and we welcome families and couples for summer holidays, romantic getaways, walking and activity holidays, and off-season short breaks. Dogs are welcome too with over 20 acres of open space for 'walkies' on site. 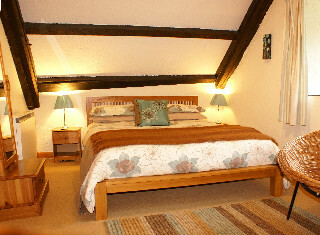 Some of our cottages have woodburners and spa baths and all are well-equipped and include LCD TVs and Wifi. Within our conservation valley we manage a nature trail with ponds, woodlands and meadows. Guests can watch the wildlife from their cottage gardens or from vantage points along the nature trail. We recommend a car free day walking from Dittiscombe to Slapton village with its two excellent dog-friendly pubs; or perhaps a nature safari around the freshwater lagoon and reed beds at Slapton Ley. Stunning beaches and coves are just a short drive away and there's great walking on the South West Coast Path between Dartmouth and Salcombe. Other local coast and countryside activities include hiking on Dartmoor, rock-pooling, canoeing, surfing, sailing and golfing. During the low season (November to Easter) we offer short breaks. Kayak Hire: Discover the beauty of our local estuaries, rivers and coastline with our new two-person sit on top Kayak which is available to hire on a daily basis. More details are available on our website or by e-mail. 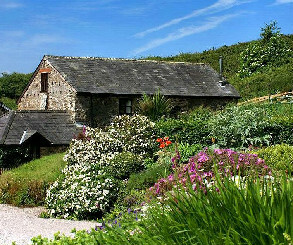 Honeysuckle is a detached, single storey cottage with views over the pond and valley. The sitting room has a slated floor and there is a woodburner, a sofa, coffee tables, a cottage chair, bookshelf, digital TV, DVD player, and an Ipod player with FM radio. Two small steps from the living room take you to the bedroom where there is a king-size bed. The seperate kitchen/dining room is fully equipped with ceramic hob, microwave and electric oven, furnished with a circular dining table, chairs and shelving. The kitchen leads to the bathroom with a bath with shower over, toilet and basin. There is gas-fired central heating throughout the cottage. 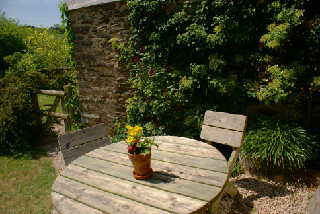 The garden is at the side of the cottage with lovely views of the pond, woodland and wildflower banks. There is a level gravelled area with patio seating and pots, and an area of lawn with flower and shrub borders, It is surrounded by wooden fencing and a gate leads to Willows garden. Bath and hand towels are provided in this cottage. 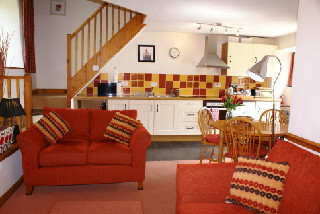 Guests are able to unload outside cottage, and parking is in the communal car park. 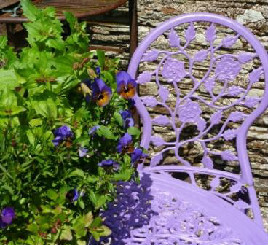 Dittiscombe is open all year and we offer a romantic location and recharge your batteries. 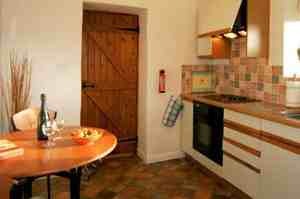 We also offer short breaks off season, perfect if you need a little time out from a busy schedule. 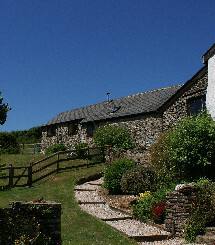 The Owlery is situated in its own area of valley at Dittiscombe. Inside the cottage there is a wooden floored open-plan sitting, dining and kitchen area featuring a woodburner, circular glass dining table, sofa and coffee tables, ceramic hob, electric oven and microwave. There is also a digital TV, DVD player, and an Ipod player with FM radio. The bedroom, with king-size bed, is set on a galleried mezzanine overlooking the sitting room. Steps down from the sitting room lead to a luxury bathroom with an oval air bath, big enough for two, and in which guests can have a gentle and relaxing aquamassage. There is also a separate shower cubicle. There is oil-fired central heating throughout the cottage. Outside the garden overlooks the small pond and is partly gravelled and planted with sea-side plants. 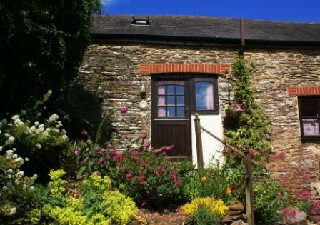 Bath and hand towels are provided in this cottage.The cottage has its own parking space. 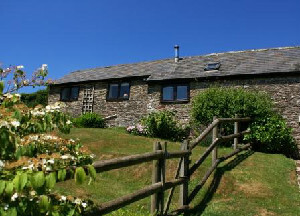 The Owlery is a pet-free cottage. Due to its layout The Owlery is not suitable for a mobile baby. The airy open-plan ground floor has a well laid out sitting, dining and kitchen area with ceramic tiled floor thoughout, and lovely views of the garden through sliding patio doors and windows. The sitting area features a stone-built fireplace and surround with a flame-effect electric fire. There is a digital TV, DVD player, Ipod player with FM radio, storage heater, bookshelves, sofas and coffee tables. 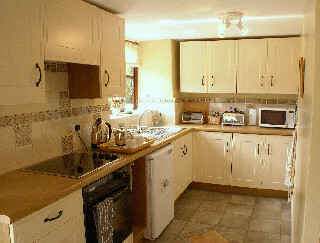 The fully-equipped kitchen area has a ceramic hob, microwave, electric oven and storage heater, and the dining area has an extending oak dining table and chairs. The downstairs bathroom has a bath with electric shower over, and electric fan heater. Upstairs there is a galleried landing which leads to the two bedrooms. 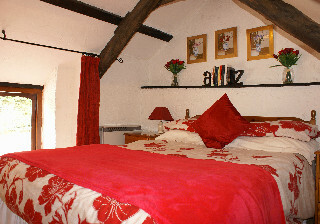 The main bedroom has ancient rafters and a double bed; the second bedroom has two single beds. Both bedrooms have storage heaters. One step through the patio doors takes you to the level lawned garden which is surrounded by trees, fuchsia hedges, buddleias, a stone wall and fencing. Wooden patio furniture sits on a gravelled area and there are garden pots and climbers. This two-storey cottage, which is attached to Dovecote, offers views up the valley into the orchard. The open plan sitting room is furnished with a woodburner with glass doors, and colour digital TV, Wifi, DVD and Ipod player, sofa and coffee tables. There is an open plan dining and fully-equipped kitchen area with slate flooring, and a downstairs bathroom with shower cubicle, toilet, vanity unit and heater. Upstairs the main bedroom has a double bed. The second bedroom has two single beds. There is a garden immediately outside the stable-style front door. There is night storage heating. Fifteen dovecotes are a feature of this pretty cottage which adjoins Buddleia. The sitting room features a woodburner, a beamed ceiling and is furnished with a digital TV, Wifi, DVD and Ipod player, sofas and coffee tables. A door opens onto a path which leads to the garden overlooking the orchard and valley. 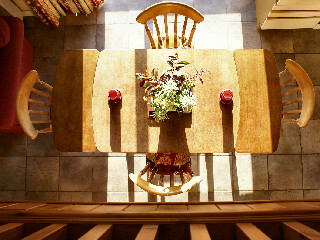 There is a separate dining and fully-equipped kitchen area with slate floor and large dinning table. There is a downstairs bathroom. Upstairs there is a beamed main bedroom with king-size bed, and the second bedroom has two full-size bunk beds. There is night-storage heating. Willows faces south overlooking the valley and pond with an enclosed garden. The open plan sitting room is furnished with colour Digital TV, Wifi, DVD and Ipod player, sofas and coffee tables. There is a slate floor and fireplace with flame-effect electric fire. 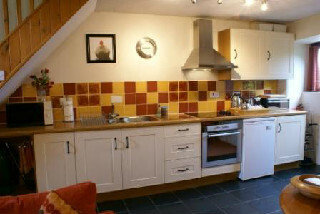 The fully-equipped kitchen and dining area has a fridge/freezer and dishwasher. The downstairs bathroom has a toilet, walk-in shower and wash basin. Upstairs the front double room overlooks the pond and has a toilet and basin. There is a second double bedroom with window seat, and two single rooms. Steps lead down to a further bathroom which has a bath with shower over. There is night storage heating and supplementary heating. 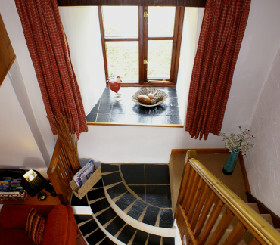 "Brilliant views from cottage and lovely walk right outside the door. The accommodation is first class � we�ve all enjoyed a lovely week." "What an amazing find. So peaceful and tranquil." "The perfect getaway. A memorable break complimented by a �home from home� cottage, friendly hosts and beautiful scenery." "Lovely holiday � thanks for making such an amazing valley for us to wander in and for putting thought into the play area for Sophie." 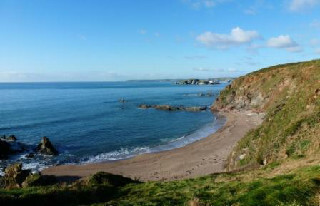 The South Hams area of South Devon is somewhere special - one of the most beautiful and unspoilt parts of Britain providing an exclusive and special holiday location. With its gentle year-round climate and pretty estuaries, dramatic coastline, beautiful beaches, historic villages and great food and drink producers, this area has so much to offer visitors. 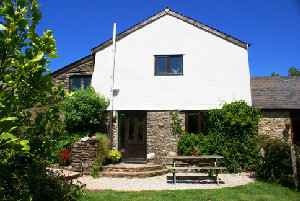 Dittiscombe Holiday Cottages is an ideal base from which discover its secrets. Here is just a small selection of places to visit and things to do which we hope will appeal to all types of visitor, whether here for a dog-friendly holiday, a summer vacation, a romantic break, or a spring, autumn or winter short break. To explore what�s on the doorstep our guests can enjoy a car free day at Dittiscombe and walk from their cottage to Slapton Village (1� miles) and a further � mile to Slapton Sands beach.At this point walkers can join the South West Coast Path and enjoy the spectacular coastline of Start Bay which stretches from Blackpool Sands to Start Point Lighthouse. 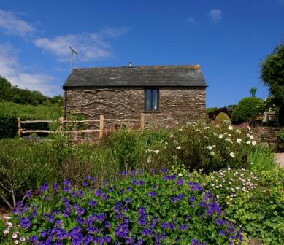 There are walks for everyone and on the South Devon Area of Outstanding Natural Beauty and the Visit South Devon websites you can download details of walks and trails, and use the maps, guides and leaflets provided in the cottages. For a walk on the wild side Dartmoor National Park is about 50 minutes drive from Dittiscombe and with its open spaces for hiking, cycling and horse-riding activities, this is another wonderful area for the outdoor enthusiast to visit. Our dogs charge is �25 per dog per week, and �10 per dog for a short break.